The first night went okay for Hermione and Ginny. They was greeted by all their old friends. Neville, Seamus and Dean lifted them both up and swung them in the air when they met them in the great hall. There were many new students, but very many others who was gone too. 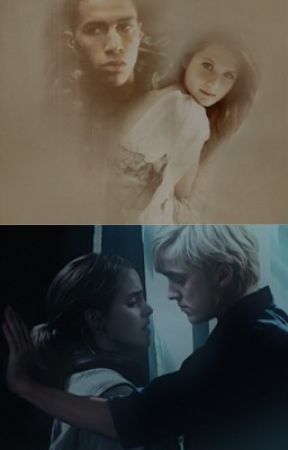 Hermione remembered it like it was yesterday she sat with the head on her head. Both nervous and excited. All her classmates had been going through the same thing, some of those friends were now dead. She hated Lavender for taking Ron in her sixth year. But now afterwards she actually regretted that. Lavender was just a girl who wanted a little love too. She was only a human and didn&apos;t really deserve to die the way she did. She knew Partvati and Lavender had been very close friends. Hermione couldn&apos;t imagine how it would feel like to lose Ginny. A couple of days went on, and soon it was time to have Quidditch tryouts. Ginny was on the list ( of course) and had been practicing all summer with Ron, Harry and sometimes George too. The tryouts went surprisingly good this time and she was sure she would get a place in the team. 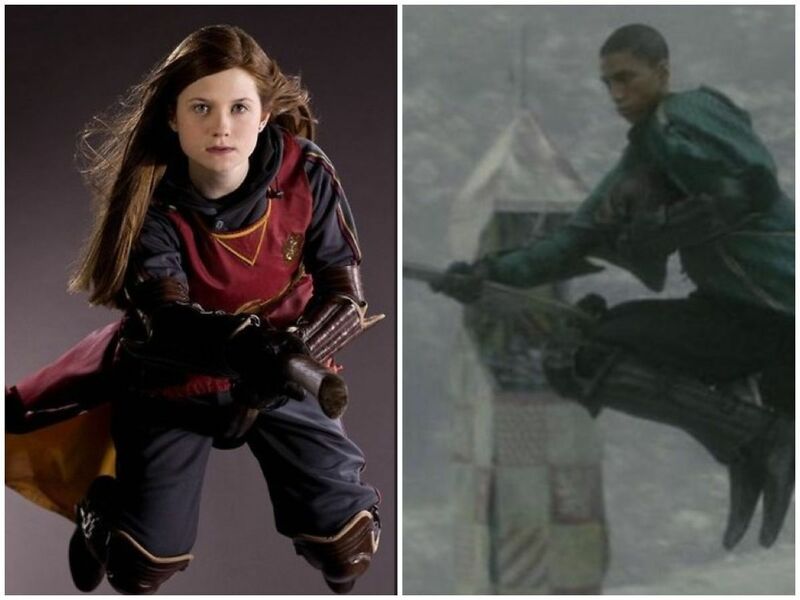 She was on her way out from the Quidditch Pitch when someone yelled after her.
" Oi! You, Red! How did it go?" Ginny who just had been in s good mood, now angrily turned around and searched for the voice. It didn&apos;t take long until she found Blaise smirking at her.
" You think you have a chance?" He said. She was sure he didn&apos;t mean it, he was just teasing with her.
" More than you will have" Ginny spat and started to go away. She didn&apos;t have time for this. But he was faster. He quickly flew after her and blocked her path.
" Why so serious today? Yesterday you were blushing" Her hair was matching her face right now and her eyes was saying &apos; Avada Kedavra&apos;. In this moment she washed she could do wandless magic.
" Come on Red. I know you will get into the team. You&apos;ve done it before right?" She tried to walk past him, but he wouldn&apos;t let her.
" Can you get the hell away from me, please?" She asked with a soft voice, but the look in her brown eyes was saying something else. Blaise was sure she didn&apos;t really mean it.
" Come on Red, we both knows you actually like me. And now when you and Harry have....." Well there he dropped the bomb on her.
" Why don&apos;t you go back to your slutty Parkinson instead, huh? I&apos;ve heard you&apos;re banging alot this summer"
She thought he would be annoyed by her retort, but he wasn&apos;t. At least that&apos;s what she thought.
" Maybe we have Red. But you wish, and even Merlin knows it, that it was YOU and not her"
Ginny was startled, but wouldn&apos;t show it. Before thinking, she gave him a loud punch in the face. He fell of his broom and Ginny could eventually walk by.
" This is going to be harder than I thought"
Blaise mumbled when he saw the youngest Weasley leave him like a fool on the quidditch Pitch.